If there is one company possessing heaps of experience with designing computer accessories, it would have to be Logitech. Their MX518 is a legend among gaming mice, and the G303 Daedalus Apex Performance Edition follows in the footsteps of its predecessor. It was designed with the help of professional gamers, and Logitech put in a lot of care to make sure that it can satisfy the needs of modern gamers. 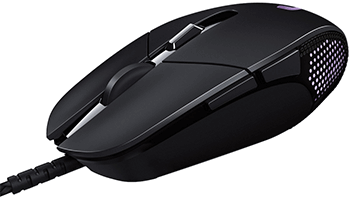 The Logitech G303 Daedalus Apex Performance Edition gaming is a relatively low-profile mouse with a sleek exterior that looks even better in real-life than it does in pictures. The body is compact and suitable for people with small hands. Despite its light weight, the mouse doesn’t feel cheaply built or hollow. That’s largely due to its excellent gliding properties and effortless movement across all surfaces. 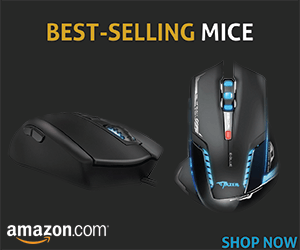 The only thing missing is the ability to adjust the weight of the mouse. All buttons feature Logitech’s metal spring button tensioning system, which gives excellent haptic feedback and provides with smooth action and a very pleasant clicking noise. All switches should be able to withstand up to 20 million clicks, which translates into several years of daily use for most gamers. Logitech used their exclusive Delta Zero sensor technology with the PMW3366 sensor module. Together, they are able to offer up to 12,000 DPI, which can be adjusted in precise increments from 200 DPI. Like most modern mice, even the Logitech G303 Edition gaming mouse has a built-in RGB customizable lighting system. Users can use it to give the mouse its own individual style, and the included software supports a handful of interesting effects. They don’t really serve any purpose, but they are nice to look at. Unfortunately, not everything is perfect when it comes to the built-in lighting system. The G logo has a tendency to get very hot after a short while of use, and it becomes very uncomfortable to hold the mouse. The only real solution is to turn off the lighting when you intend on playing for a longer period of time. We haven’t asked Logitech about this issue, but it seems that we aren’t the only one experiencing it. Let’s hope that there will be a new revision that fixes this issue. 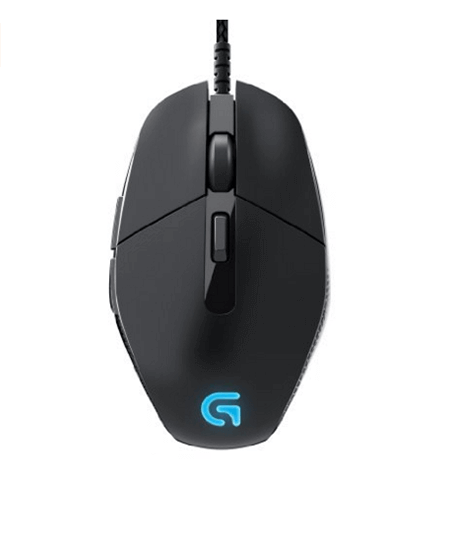 The Logitech G303 gaming mouse is a solid addition to Logitech’s large line-up of high-performance gaming peripherals. If it weren’t for the issue with the built-in RGB lighting, we wouldn’t hesitate to give it our full recommendation. As it stands, it probably isn’t a bad idea to wait until Logitech fixes this issue.